We welcome all families interested in applying to our school and hope that this page provides all the information that you need. 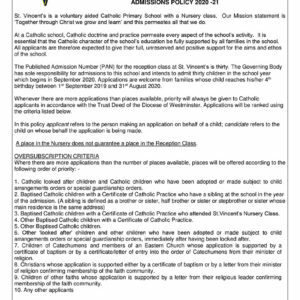 If you have any questions about any Admissions matters please contact the school office and we will be very happy to help you. 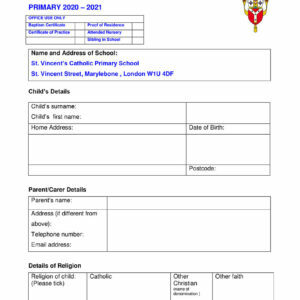 The Certificate of Catholic Practice can be obtained from the priest at the parish where your family normally worships and from the diocesan website. 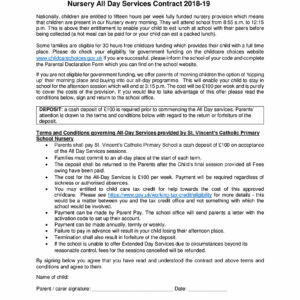 Currently all 3 & 4 year olds are entitled to up to 15 hours of free childcare and early education a week for up to 38 weeks a year. 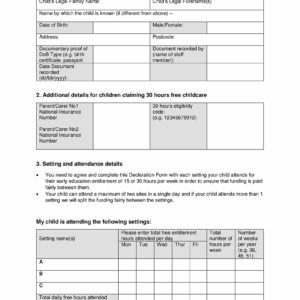 From September 2017 the Government increased the entitlement from 15 to 30 hours per week for working parents who meet the eligibility criteria. 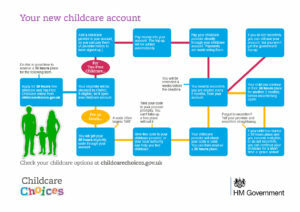 All children remain eligible for the existing universal 15 hour free entitlement offer. 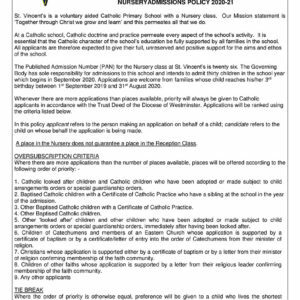 The Department for Education has produced an information sheet which can be accessed by following the link below. You will be able to find out more information at www.childcarechoices.gov.uk If you are eligible you will receive a code which you must give to the school to be validated. Please be aware that this code needs to be re-validated every three months. We are here to support you with the process. Further below you will find a form that must be completed and handed into the school with your code if you are eligible for additional funding. We regularly host visits to the school for prospective parents. 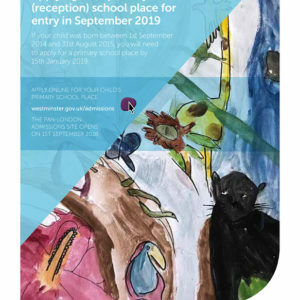 Please contact the school office to book a place. In the meantime, enjoy watching this short video introducing our Foundation Stage. 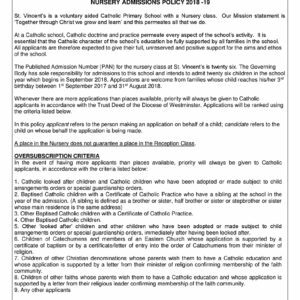 Please find below our admissions arrangements for the current year, for 2019 entry and for 2020-21.